The Royal Palace was our restaurant for the second and third nights. 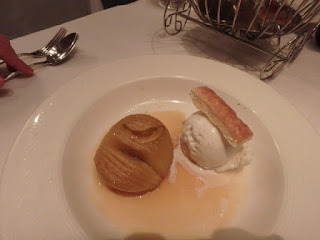 The second night was the regular menu for the restaurant. Again, I was happy that our location had a half booth. Mik was iffy on ordering the escargot because for once he actually read the description, which mentions mushrooms. 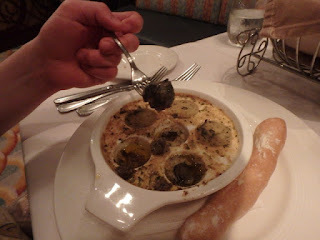 However, I convinced him to still get them because he is always talking about loving escargot and it was on a Disney cruise he first had them. As usual, he loved them and didn’t even notice the mushrooms. 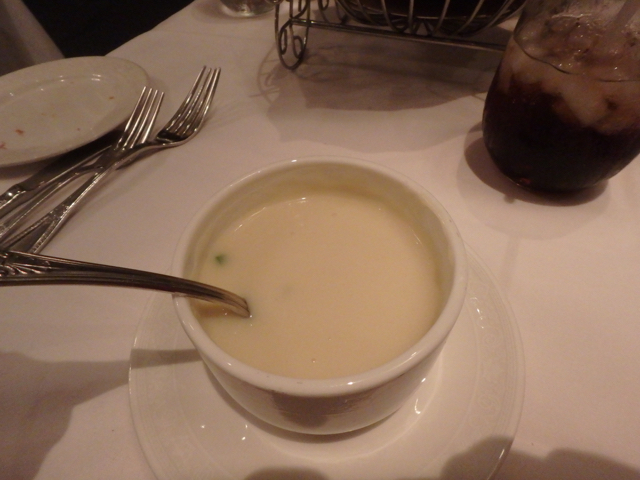 For the soup, he had the Potage Parmentier. 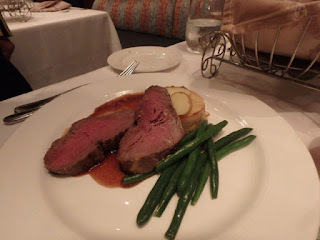 The entree he choose was the Chateaubriand-Roasted Filet Steak. He enjoyed the Apple Tart Tatin for dessert.